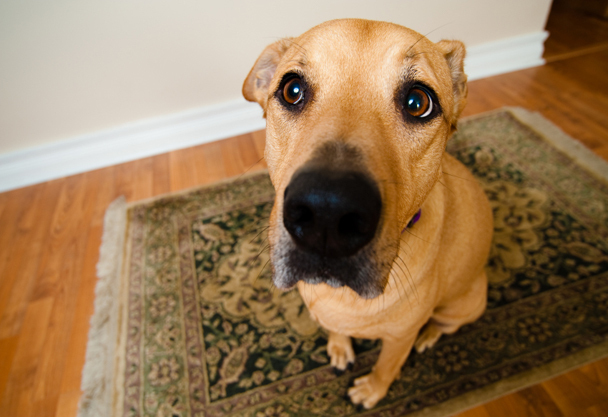 The most common forms of carpet damage are stains from foods and pets, as well as plain dirt and mud. There are plenty of other ways that carpets and rugs can be damaged, but it is not always easy to identify the cause of the problem. Even if you do know has caused the damage, finding the proper way to clean, or repair, your carpet might be more difficult than anticipated. It is a common belief that moths will actually eat the fibers of rugs and carpeting. While this is not true, they can cause untold damage, as female moths will lay multitudes of their eggs. These eggs soon hatch and unleash moth larvae into the pile, where they will eat away at many materials, from wool, to leather, to silk. If you do not regularly vacuum, or your carpets are constantly in darkened areas, you might have the perfect place for moths to lay their eggs. If there is a spider web-like substance on your carpet, or debris that resembles sand, it might actually be a sign of infestation. Vacuuming might stop further damage, but hiring a professional carpet cleaner is the best way to ensure that the problem is removed. Unfortunately, damaged carpet might need to be rewoven, or replaced. If your four-legged pet has been using your rug as their own personal chew toy, you will notice indentations and tears in the pile. The easiest way to prevent this is to train your pet to not chew on anything but their toys. Cleaning your carpet with a vacuum cleaner might seem like a good idea, but it can cause premature wearing. Make sure that you are using a good quality vacuum cleaner, and you are not leaving any marks behind as you clean. If you are dealing with an expensive rug or carpet, it is best to invest in a good vacuum cleaner, and avoid using attachments that might be too rough. So, you decided to buy some cleaning products and clean the carpet by yourself? Be careful of store-bought carpet cleaners, because many of them contain harsh chemicals, which should only be used by someone who knows what they are doing. If there is a stain that needs something stronger than simple water and soap, it is best to allow a professional to do the job for you. A hot-water extraction process would be best for tougher stains, as they provide a deep clean without using harsh chemicals. It’s simply a super hot steam that reaches the carpet’s underlining and lifts dirt and stains. If your carpets are damaged, or in need of some maintenance, the safest solution is to hire a carpet cleaning Winnetka service. There should be plenty of businesses in your local area, so be sure to ask for a number of quotes, before you hire any one company. Carpet Cleaning Group provides exceptional client service and results. They know about cleaning inside and out. I love that they use environmentally friendly products. I will use them again. I'd given up on carpet cleaners but these guys worked miracles. They saved a velvet sofa my dog peed on. Real professional cleaners. What is Hot Water Extraction Cleaning? WE SERVE ALL CHICAGO & SUBURBS, WHAT ARE YOU WAITING FOR? Copyright © Carpet Cleaning Group 2015. All rights reserved.